Mokoro Principal Consultant Alta Fölscher joined a panel at the launch of the Open Budget Survey 2017 in February 2018. The event, held in London, presented discussions on the latest findings from the survey on the state of government budget transparency and accountability in 115 countries around the world. Topics that were discussed included which countries had made progress and which had regressed, what drives improvement, what can different stakeholders influence within governments and externally to encourage more open and accountable budgets. 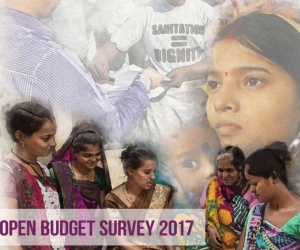 Launched in 2006, the Open Budget Survey (OBS) is the world’s only independent, comparative assessment of the three pillars of public budget accountability: transparency, oversight and public participation. The 2017 survey was the sixth edition of this biennial assessment which evaluated 115 countries across six continents, adding 13 new countries to the survey since the last round in 2015.